Disclosure: These are my opinions as a free agent and separate entity from Magic: The Gathering. 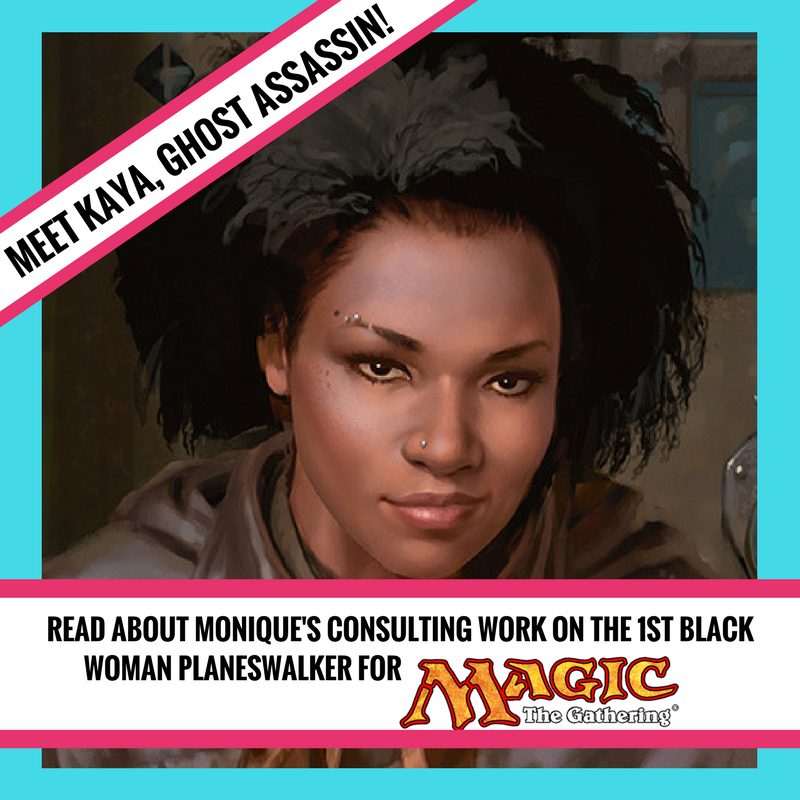 As you might know, I acted as as consultant for Magic: The Gathering for the development of their first black Planeswalker character, Kaya, Ghost Assassin. (For info on what a Planeswalker is and what Kaya does, check this post.) 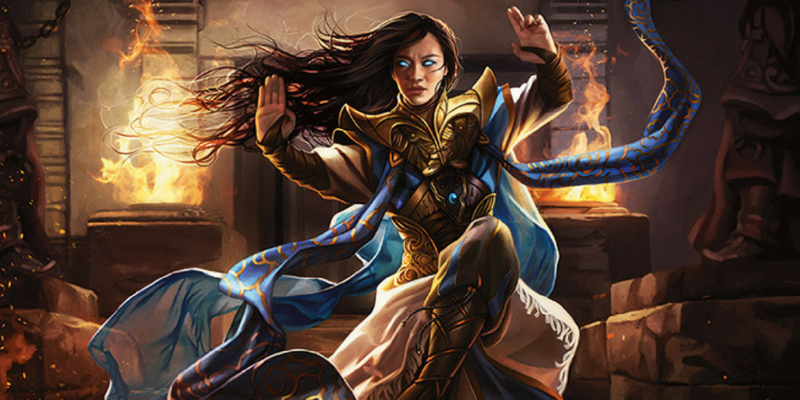 Recently, I was able to recount my experiences with Magic: The Gathering in my first post for SyFy Wire, a year after Kaya made her big debut. I’ve been excited by what Magic: The Gathering is doing, especially with regard to the sensitivity being shown players of color, specifically women of color. Women of color don’t get much thought put towards them in gaming overall, so it’s nice to see a company put their best foot forward in an attempt to get it right. What’s also great is that they admit when they’ve had shortcomings. That shows a willingness to learn that other gaming companies should adopt. Well, I can’t answer questions about the future, but I can tell you that she is on our very short-list of characters to bring back in the immediate future. You haven’t seen the last of Kaya and I’m very excited for people to see her again as soon as possible. In the meantime, I’ve wanted to turn Magic newbies and folks who are old hat at Magic to five of the company’s women of color. Whilst I’m sure there are more characters coming down the line, these five are a solid starting lineup for anyone’s WOC-centric deck. 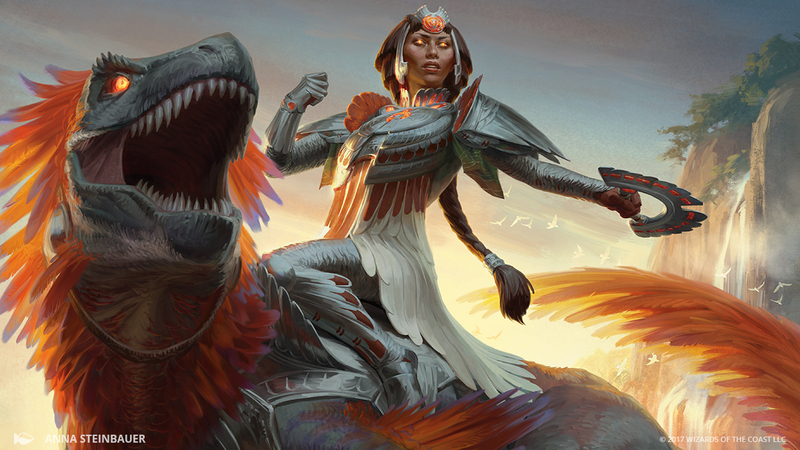 The Meso-American plane of Ixalan is where we meet Huatli, and I’m really excited for her addition into the Magic: The Gathering world. I believe she’s the first Latinx/Indigenous character for Magic, and it’s great to see them expanding into more realms of representation. What I think is so cool about Huatli, representation nods aside, is that she’s a Planeswalker who rose up the ranks on her plane due to her poetry. There aren’t a lot of characters nowadays, in gaming or other modes of media, that become lauded because of their artistic skill. Showing younger players that there is merit in expressing yourself through your talents can only result in more positivity and higher self-esteem in these kids’ lives, particularly since it’s all too common for folks to think that there aren’t any reasons to pursue a talent to its highest height. Also, she’s riding a dinosaur as her steed. You can’t get cooler than that. She’s a massive hit with the fans–as are all of these characters in this article. I’m thrilled that there are so many fans who have rallied around Huatli and her world; their interest in her and her culture shows what inclusion can do–through Huatli, some young kid (or adult) might decide they want to learn more about the Mayans and other indigenous cultures to Mexico and Latin America. Who knows; Huatli could spark the next wave of historians, archaeologists, and cultural experts. The ability to positively shape and enrich someone’s life is really where the power and responsibility in storytelling lies. Samut was a renowned initiate, a master of the double khopesh, and adept at channeling her speed and strength into her attacks. She was a leader among her crop, and was highly dependable during battle. Fellow crop members reported that it seemed she was always everywhere at once; she had everyone’s back, and never let a fellow fall. Her speed seemed inhuman, as did her ability to strike down opponents to protect her crop. She and her close friend Djeru were unstoppable among the initiates. But Samut had a secret. As a child, she ventured outside of the magical barrier that protected her city, and discovered evidence of a not-so-distant past. She found hieroglyphs of long-forgotten dances and rituals on the walls of ancient buildings, and determined that something had altered her world to its core. 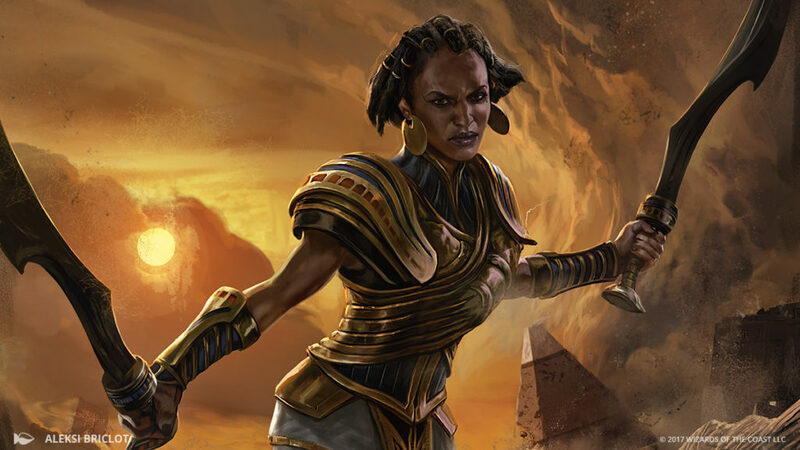 Samut studied the dances and learned as much as she could about Amonkhet’s past, and vowed to reveal the truth about what had happened to Amonkhet. She grew up to be a persistent and determined adult, but was uncertain how she alone could make the change she needs. For that reason, she prevented the death of her friend Djeru and resolved to convince him to help her rally their people and their beloved gods against the God-Pharaoh. Samut comes from the ancient Egypt-adjacent plane called Amonkhet. Again, like with Huatli and Ixalan, Samut and Amonkhet could propel a Magic-loving kid to want to study ancient Egypt, leading them to a journey of discovery, cultural acceptance, and love of learning. This particular plane, including Nicol Bolas’ effect on the plane, could also lead players to study more about Afrofuturism, an art and literary movement that seeks to put black characters and pan-African cultures at the center of their own destiny–in this case, it’s argued that race and the concept of “blackness” will cease to be seen as a negative factor once blackness is taken out of its American, Westernized, white supremacist-laced meaning. 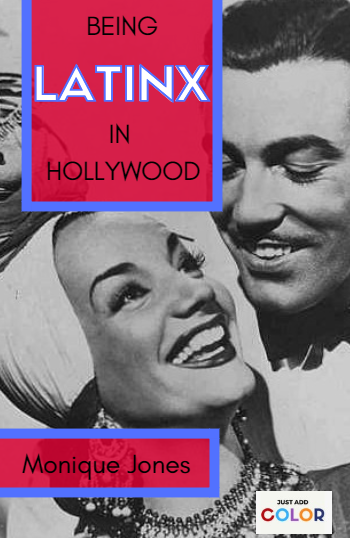 The genre offers a chance for black characters to represent the humanity of the black diaspora. I get into that a little in my little segment in Mike Linnemann’s Gathering Magic article about Amonkhet. To speak to her character, Samut can teach players, particularly those of the younger set, to stay inquisitive and follow your gut instinct; if you feel something’s not right, don’t let others tell you you’re wrong. Find out why you feel a certain way–investigate and never take “no” for an answer. Samut’s story might be even more salient during this current political time, where 1984′s double-think and double-speak are now real modes of policy. Almost everyone in Amonkhet is bewitched to think that Nicol Bolas is the supreme god, and anyone who objects goes missing. Samut is one of the few who can see beneath the illusion, and she’s risking her life to save her people. 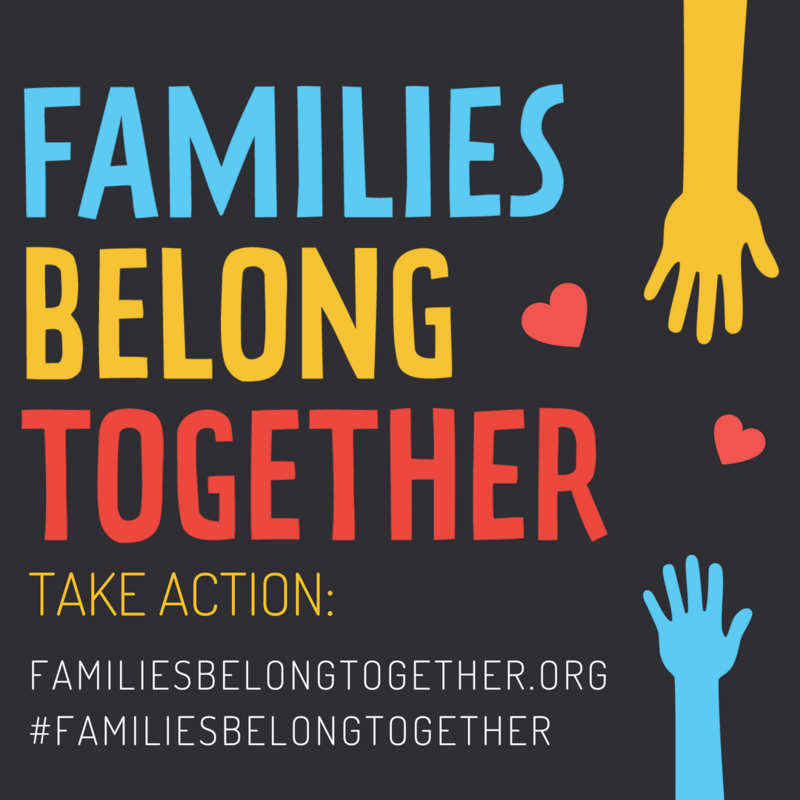 Sometimes telling the truth–and fighting for it–can seem dangerous. But the lesson Samut teaches is that it’s always best to fight for what’s right. 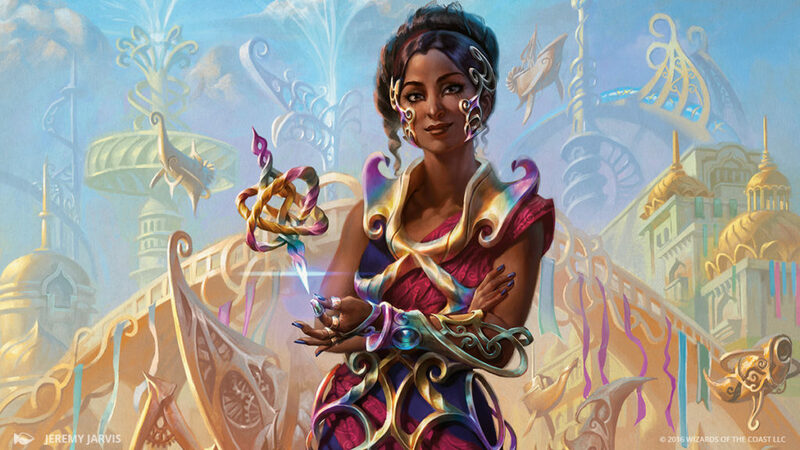 On her home plane of Kaladesh, Saheeli is a famous inventor renowned as the most brilliant metalsmith of her time. She’s best known for the bewitchingly lifelike artifact constructs she crafts out of gleaming iridescent metal. From the smallest insect to the largest elephant, Saheeli has an uncanny ability to replicate any creature she sees, capturing the essence of its life in her metal creation. Admirers, collectors, and investors flock to see her designs, spending hours gazing, enraptured by her artistry. Her innate, effortless talent has made her the envy of many fellow inventors, especially lifecrafters who look to her both for inspiration and as a formidable rival. Saheeli doesn’t shy away from competition; when it comes to defending her hard-earned reputation, she is fiercely cutthroat. But when not in contest, she’s wholly supportive of the efforts of other inventors, happy to share advice, a kind word, or an encouraging smile. She thrills at the prospect of innovation, and basks in the creative spirit that surrounds her in Ghirapur. Her bright, optimistic personality draws others to her, and her genuine, thoughtful nature resonates with her fans, who hail from all corners of Kaladesh. Saheeli’s talents extend beyond what the people of Kaladesh realize or understand. She’s a Planeswalker with a powerful magical command over metal. She can access seemingly endless threads of metal, which she can then weave into one of her creations. And once created, Saheeli’s magic allows her to compel her metal constructs to do her bidding. Thanks to her abilities, she’s never at a loss for an artifact companion. As I wrote in my post last year about Saheeli, she is (from what I know) the first Planeswalker from South Asian heritage. From what I’ve seen and researched, there hasn’t been another Planeswalker that has focused on South Asian representation. Here’s what Magic had to say about their design process. To help us treat our cultural references with respect and care, we enlisted help from a team of Indian colleagues at Wizards, including Jisi Kottakuzhiyil, Sandeep Kedlaya, Narayanan Raghunathan, Sathish Ramamurthy, Basha Mohideen, and Trinadh Nemaniat. With their guidance throughout multiple phases of our process, we honed aspects of the world—from the look of a field in a basic Plains to the visuals for the races on the plane to the phonemes in names—to try to reflect Indian inspirations in Kaladesh. They oversaw our progress throughout the concept push all the way through to reviewing art that appears in the card set. They let us know what they found exciting and what were points to avoid. They guided us toward what they felt was an interesting mixture of elements from Northern and Western India in the patterned rhinoceros mount of Armorcraft Judge, and cautioned us against the use of colors or shapes with strong religious connotations, including saffron-colored robes or green domes in architecture. What’s also empowering is that she’s a creator who lives on innovation. From women in STEM to women who make a living as artists, innovation is key, and a love for innovation is something that should be fostered in the young, especially girls, who are often taught that being different–in looks, mannerisms, behavior and interests–is unacceptable. With Saheeli as an inventor herself, she could become a role model to other girls who see themselves as inventors, too. Who knows? Our next big tech mogul could have well-worn Saheeli card in her pocket. Narset’s world clearly harkens back to ancient China and Mongolia, a time that extends through so many leaders and Imperial eras that, as a kid, I had to learn more about it. Since I was so big into Indian and Chinese history as a kid, a character like Narset would have been my gateway to learning more (if she was around when I was a kid, that is). What I also love is that she’s drawn to her Planeswalker abilities through her endless pursuit of knowledge and her quest to find the truth of life. Questioning is something we should all make a practice of–questioning why the status quo is what it is, and what we can do to enrich ourselves and others. The ability to learn is something we all have, but the willingness to learn–the willingness to upset our own internal equilibrium in order to become more complete versions of ourselves–is something that takes a specific type of bravery. Narset’s ever-long quest to find out more about the universe is reflective of her unique spirit. Having become a newly-minted fan of Magic: The Gathering, it’s a great opportunity to dive into the types of representation the company is striving towards. 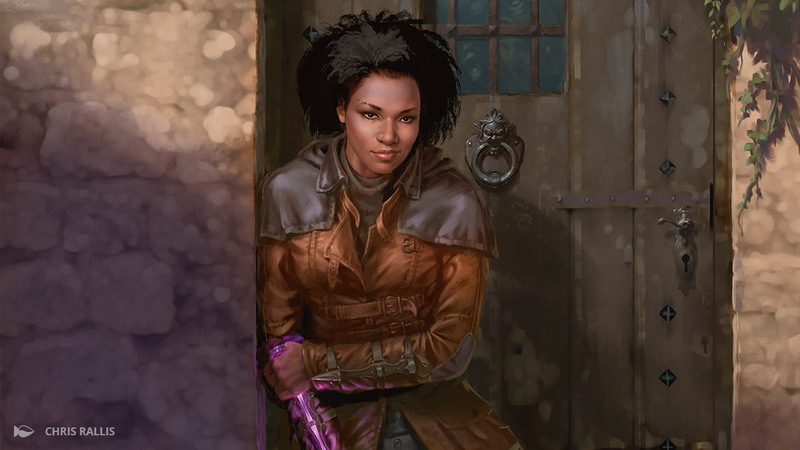 In case you’re wondering, my new fandom of the company stems from the fact that I am the consultant on Magic: The Gathering’s first black female Planeswalker, Kaya, Ghost Assassin. Instead of rehashing the particulars of how Kaya positively affects Magic’s representation mission, check out these links explaining the character and the process I took when providing notes. There are other people of color out there who might not have given a second thought to Magic: The Gathering, quite frankly, because in communities of color, games like Magic are often labeled as “white people stuff.” That idea comes from how fantasy at large is treated; it’s usually a free for all for white characters to exist in a world devoid of racial/ethnic diversity. But to its credit, Magic is doing their best to meet the challenge of diversity in fantasy head on. Not only is Kaya one of their newest Planeswalkers, but they also are aiming to represent the multitude of players out there with characters who reflect our world. One such character that I’m really excited about is Saheeli. Reminiscent of sengoku-era Japan, this plane contains two symbiotic worlds: the utsushiyo, or material realm, and the kakuriyo, or kami spirit realm. Each kami was a divinity, and the way to happiness was to honor these gods and live by their ways. The inhabitants of Kamigawa were content with this life of devotion. Then the unimaginable happened. Their gods turned on them. Naturally, the small amount of women of color (and people of color of all genders) is an issue, but Magic is well aware of this issue and are actively working to correct this as best they can. The increase in representation of women of color in the Planeswalker series is something that is encouraging and seeing how serious Magic is about representation, I’m quite certain there’s more coming down the pike towards this end. Saheeli is a welcome addition to the list of women Planeswalkers. Secondly, she’s the first Planeswalker that is repping for South Asian culture (to my knowledge): From what I’ve seen and researched, there hasn’t been another Planeswalker that has focused on South Asian representation. Just like with Kaya, Saheeli touches on a section of the Magic audience that hasn’t seen them in Planeswalker form. Also like with Kaya, what Saheeli represents is empowering. Thirdly, seeing Saheeli cosplayers warms my heart. This particular cosplay took place during PAX West, which featured Kaladesh, Saheeli’s plane, and the Kaladesh Inventors’ Fair. Welcome to the Planeswalker family, Saheeli! What do you love about Saheeli and Kaladesh? Give your opinions in the comments section below! Wednesday, Aug. 3., was a fantastic day; I was finally able to reveal a secret I’d been carrying since late last year. I was consulting with Magic: The Gathering to bring a new Planeswalker character to life! Kaya, Ghost Assassin is now a member of the Planeswalker cast of characters. Kaya is the brainchild of Magic: The Gathering creative writer Kelly Digges, and I’d say that if it’s allowable to call Kelly Kaya’s proverbial father, I’m like Kaya’s proverbial mother. Together, we helped develop Kaya into the character she is today, and like parents, we couldn’t be more proud of her and the reception she received online. 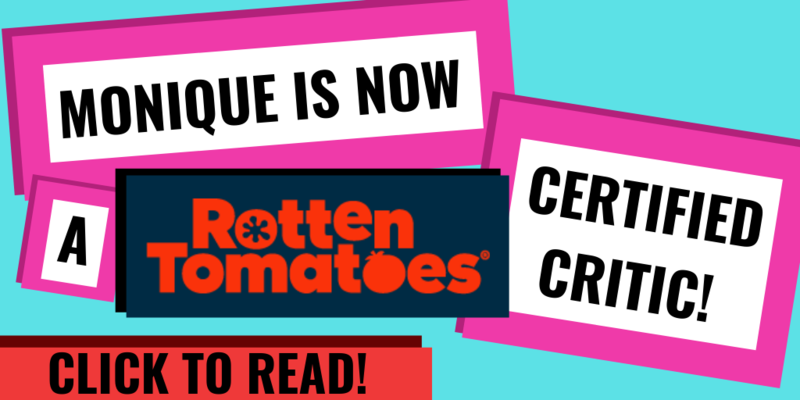 Yesterday, during the release of the character, I was flooded with congratulations and questions. Some of which I’ve compiled in this article that folks can come back and reference. 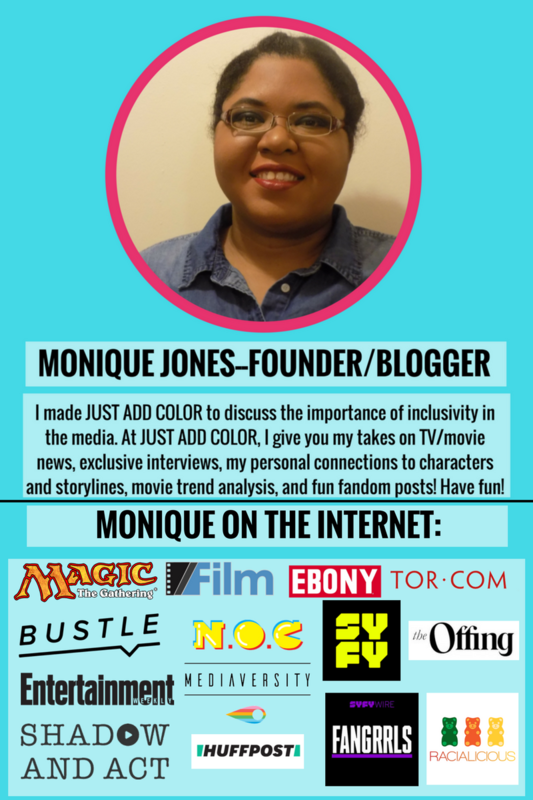 In case you are a new Twitter follower or new to my site because of Kaya, I’m Monique Jones, an entertainment journalist who’s written for several outlets, most notably Entertainment Weekly’s Community blog. 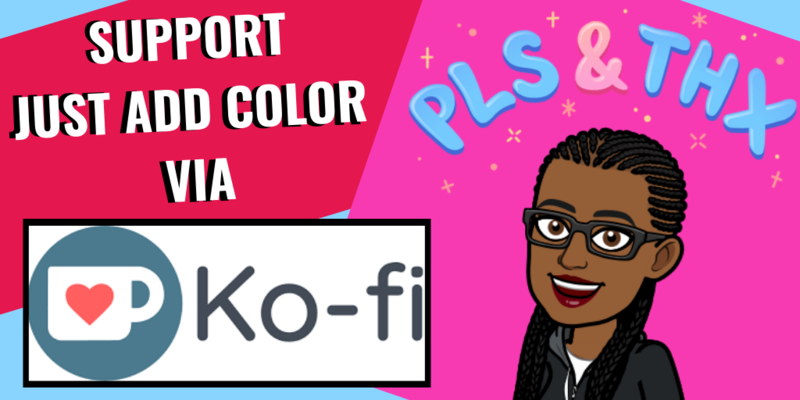 I’ve also written for culture/entertainment sites like Black Girl Nerds, Nerds of Color, Racialicious, and The Tempest (then known as Coming of Faith). Technically, my journalism beat is “entertainment,” specifically TV, but my main focus is covering how representation occurs in entertainment. My focus on representation is something that helped me a lot when conferring with Kelly about Kaya. 2. How was I chosen to contribute to Kaya’s characterization? It’s all thanks to my relationship with Black Girl Nerds as a contributor and to Black Girl Nerds’ creator, Jamie, who helps us writers find opportunities when they arise. This was one of those moments. Kaya is awesome, first of all. She’s a ghost assassin, which is quite cool because people think ghosts can’t die because they’re already dead. I could go on, but I’ll quote Magic: The Gathering’s official bio for Kaya. 4. I’ve already read the introduction story and I love it! Tell me everything there is to know about Kaya! Sorry, I can’t. You’ll learn more about Kaya at Wizards of the Coast’s discretion. 5. What did you talk about when creating Kaya’s character? Kaya lit a candle, yawned, and splashed her face with water from a basin. She rolled out the building plans and studied them one last time, humming an old ballad and unwinding the knots she’d put her hair in to sleep. 6. How do you feel about Kaya? I love Kaya. I knew she had the potential to be a knockout character, and according to the humongous reaction I received the other day, my hunch was right. Kaya is a character in her own right, first of all. But in the macro view, Kaya gives black women and girls who love Magic: The Gathering a character they can identify with and see themselves in. The Magic: The Gathering crew has been working hard to create an inclusive world, and Kaya’s part of that. Despite the current cast of Planeswalkers including humans and alien types of all sorts, including master monk Narset and time-altering sorcerer Teferi, there weren’t any representations of black women. With Kaya being the first, not only is she a very welcome addition to the cast of characters, but she’s history-making. 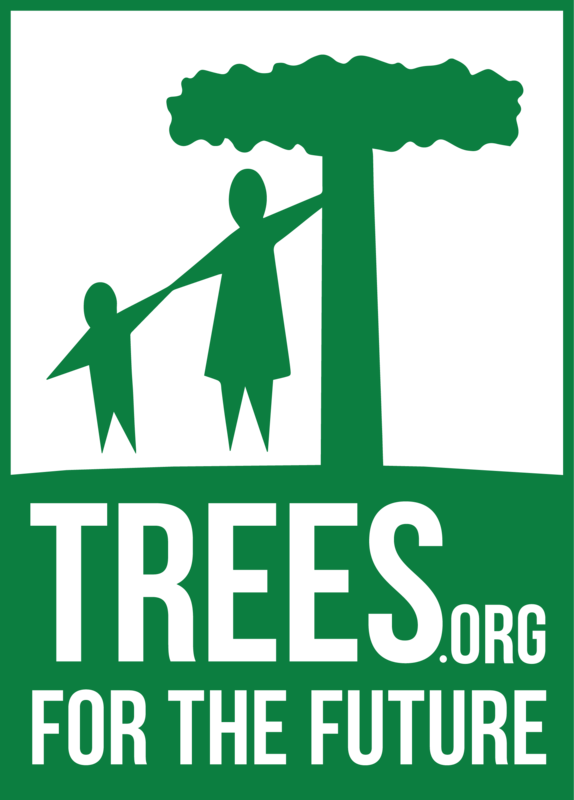 For me to be a part of that is very humbling and I’m honored to have helped bring Kaya to life. So now I turn it over to you. What do you like about Kaya? Give your opinions in the comments section below!